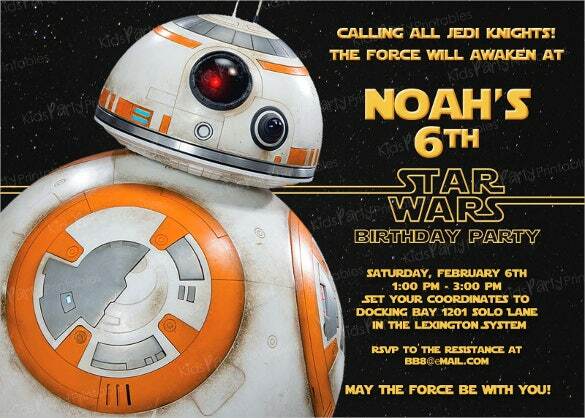 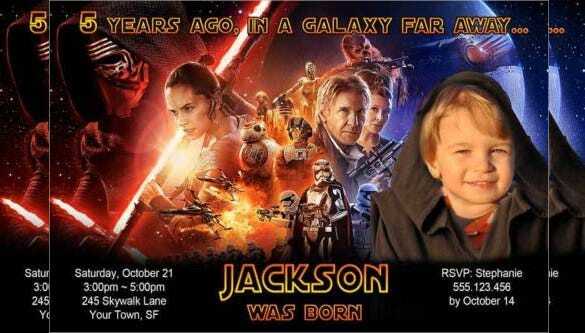 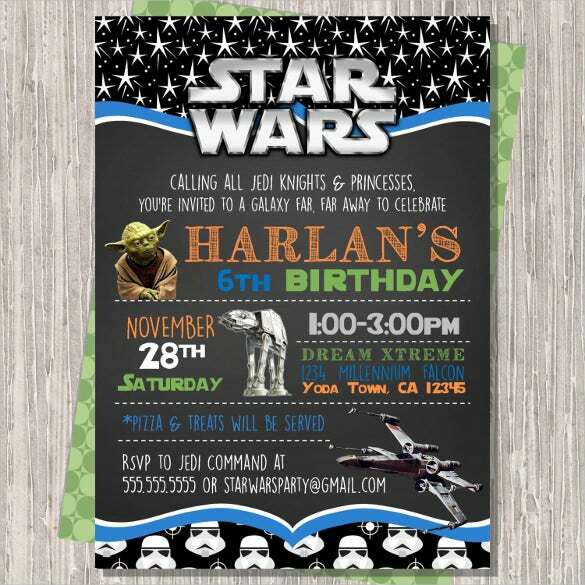 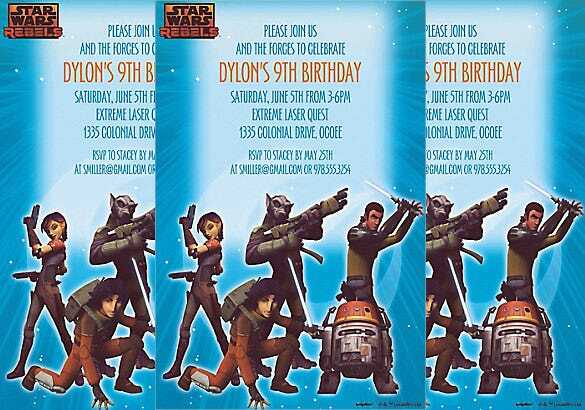 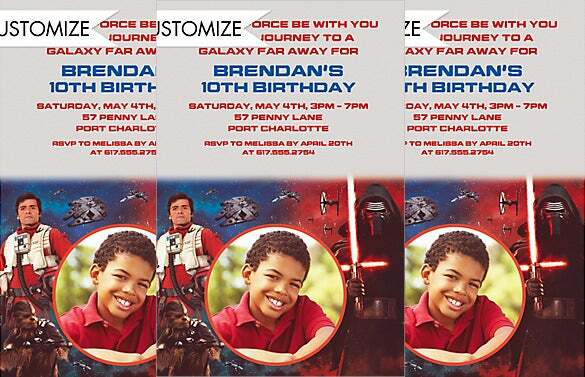 A star war themed birthday party is the coolest idea you can muster for your young boy. 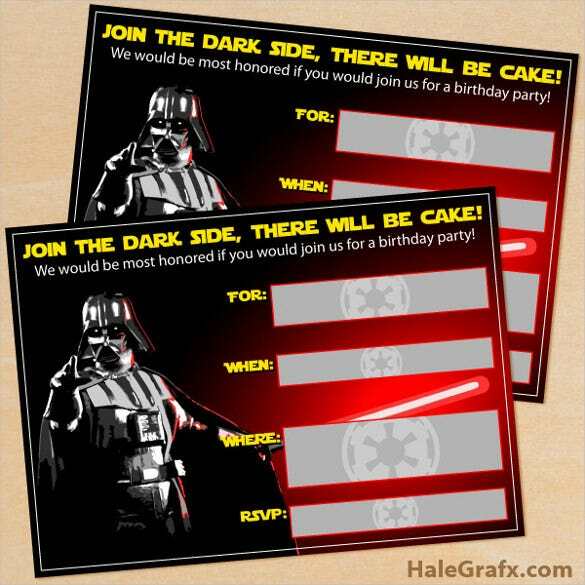 He will love it. 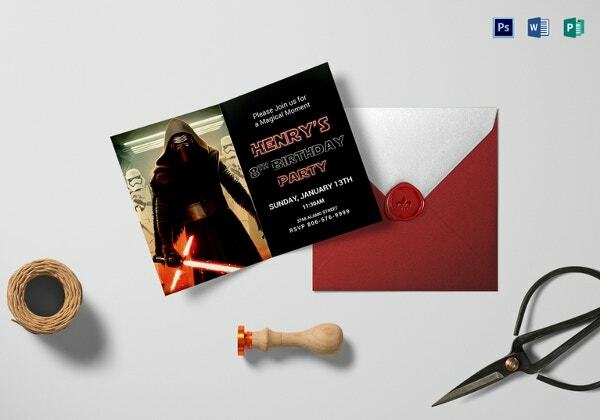 The different characters all gathering over and having fun will make his birthday worth remembering for coming years and not to forget no less than epic pictures that you will click. 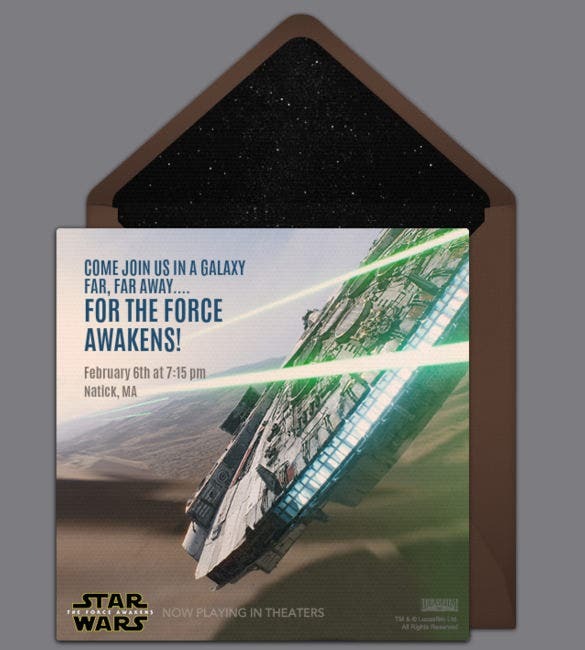 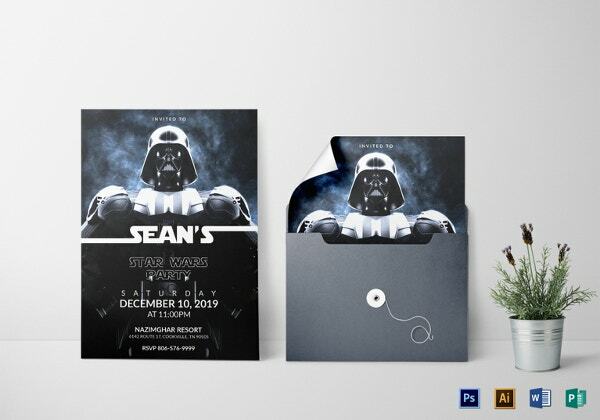 Starting with a Star wars based invitation will be the right way to go. 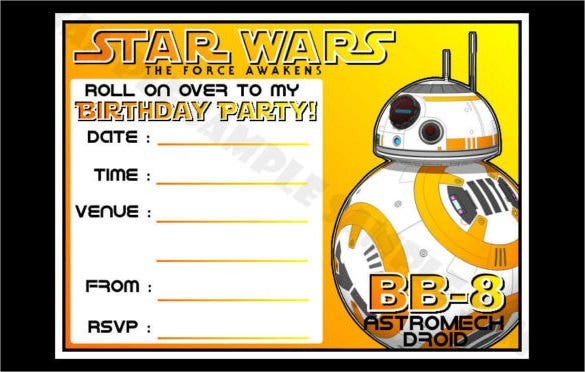 You can also see Adult Birthday Invitation Templates. 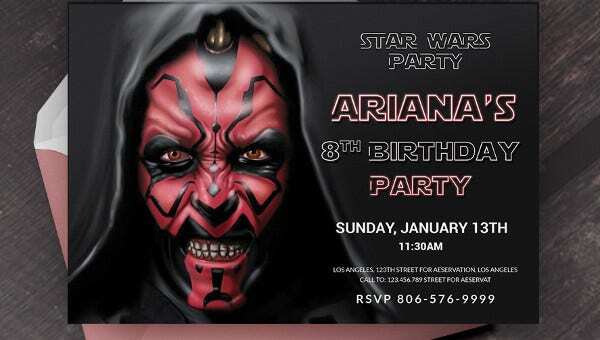 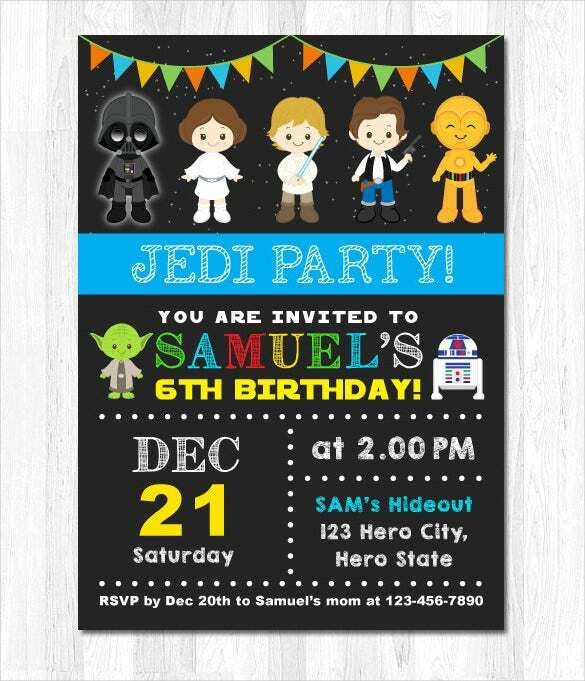 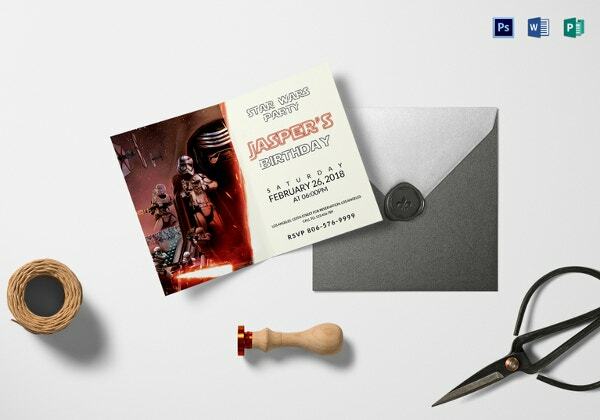 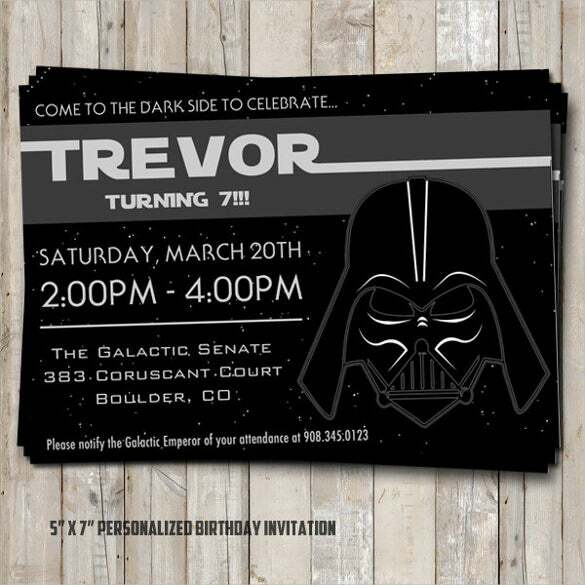 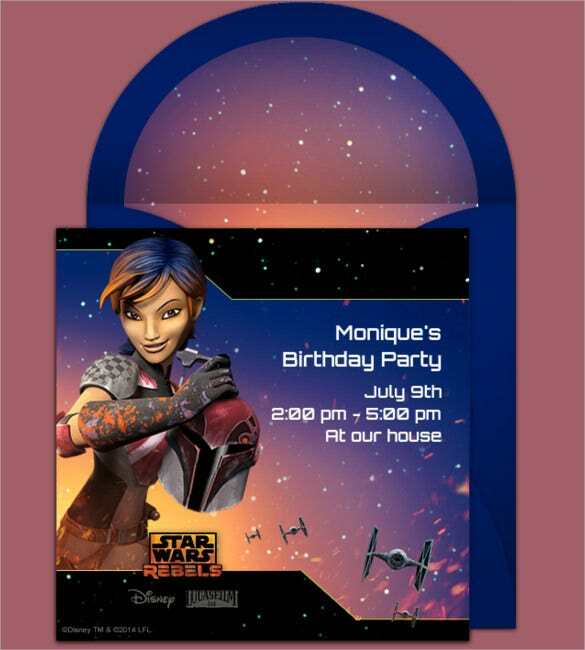 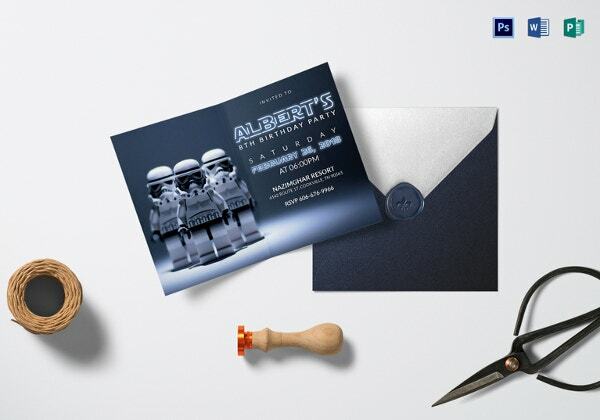 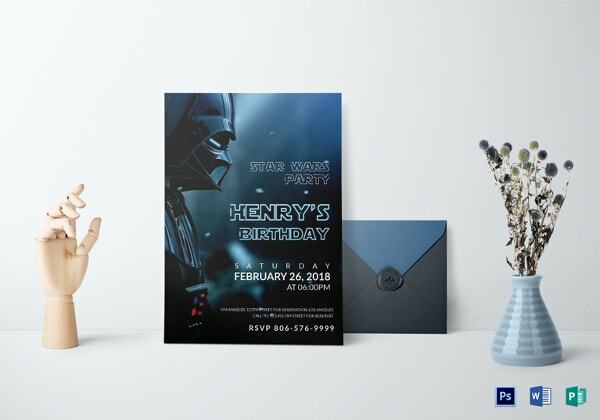 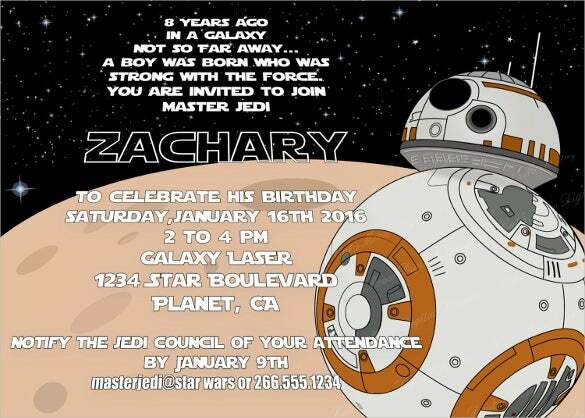 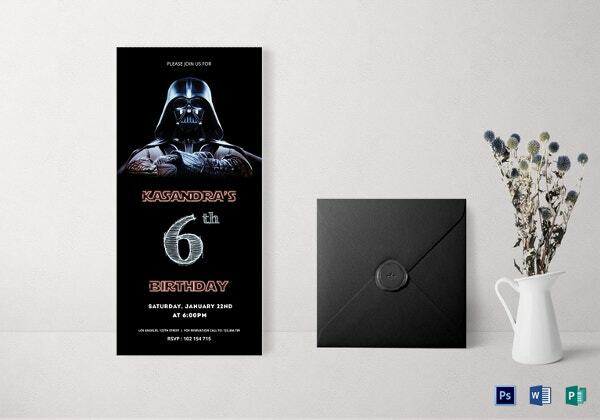 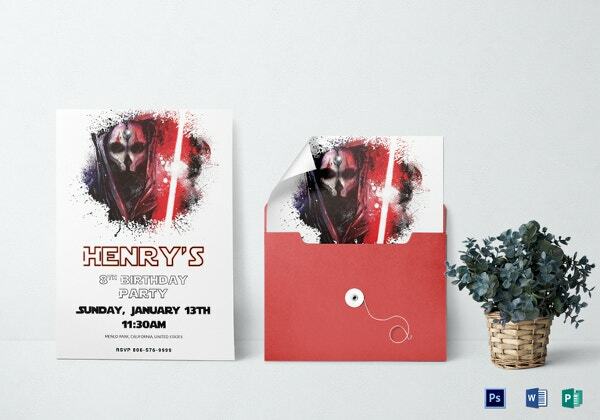 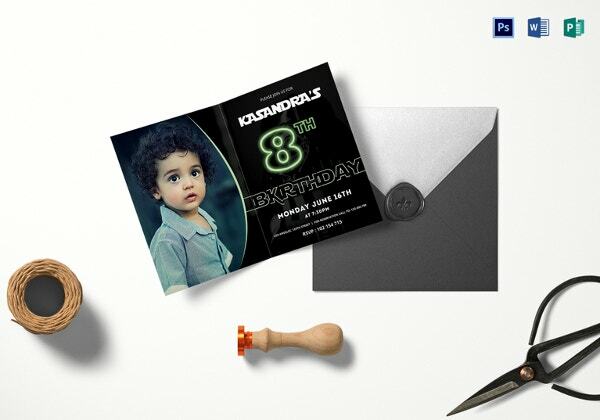 You can now choose from our exclusive designs of star wars birthday invitations templates and create an invitation as per your needs. 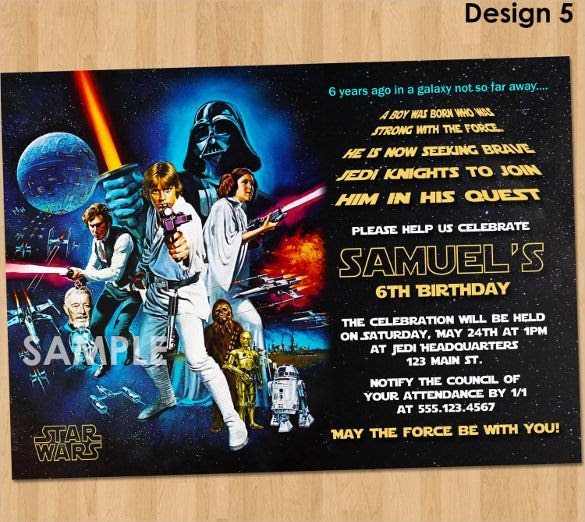 The examples given are in different formats and you can choose the one that attracts you the most.